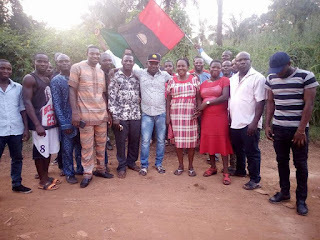 IPOB Enugu State Inaugurates More Zones And Declares November 4th As Sit At Home. 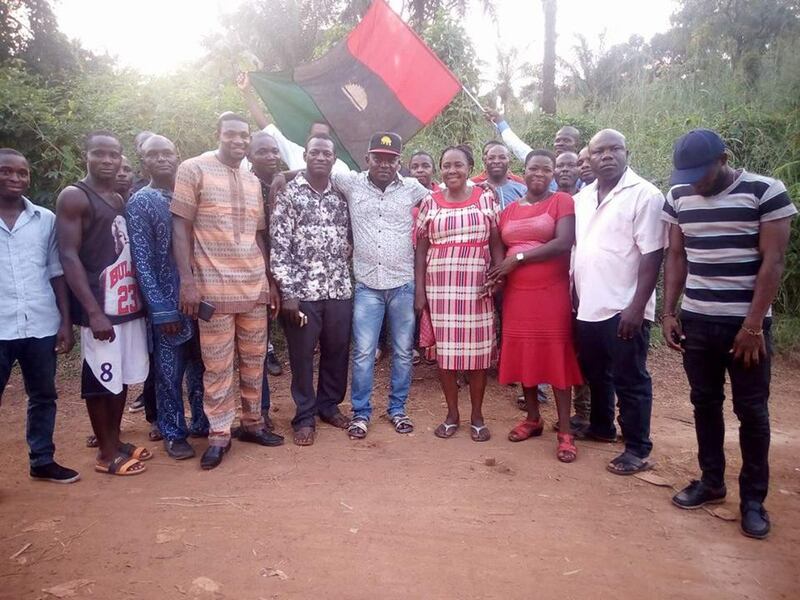 IPOB Enugu State, Biafra land, under the leadership of Mazi Nnamdi Kanu, inaugurated two powerful zones during her leadership sensitization programme both in rural and urban areas in Enugu state. 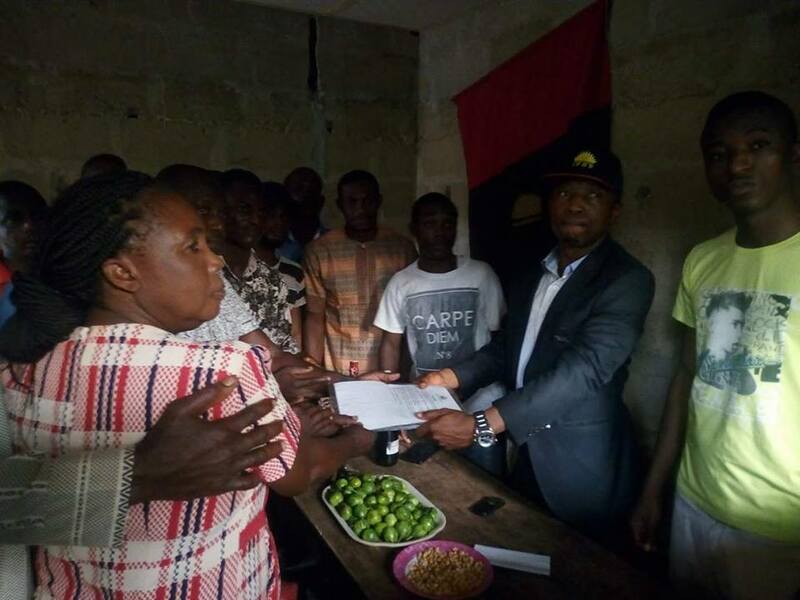 The two zones, Ugwu-Aji zone and Ngwo Top Hill zone was inaugurated following the deceitful moves of some political jobbers which was targeted at rural areas in the state with the aim of bribing the poor masses with some monetary and material gifts in order to gain their votes in the forthcoming chairmanship election billed to take place in the state on the 4th of November, 2017. During the inauguration ceremony, Enugu East Senatorial District coordinator, in the person of Mazi Okechukwu used the medium to sensitize the Indigenous People Of Biafra in Enugu State on the urgent need to boycott every election in Biafra land starting with Enugu state Local Government election and concomitantly, Anambara state governorship election. From day one of Nigeria's creation by the British colonial forces, our votes have never yielded any fruitful benefits or changed our material wellbeing for better. We the Indigenous People (Owners Of The Land) can not continue to vote and recycle overzealous politicians who care less for the wellbeing of the people that gave them the mantle of leadership. We can not continue to vote and recycle individuals who does not have respect for the rule of law. Leaders who lack respect for fundamental human rights. Perhaps, those politicians seeking appointments, who have been gallivanting around in Abuja, shouting on top of their voices that "ELECTION MUST HOLD", I am tempted to ask them, what have they gained from the past and present Nigerian government? The federal road that linked Enugu state with Anambara state is currently a death trap due to the poor state of the road. 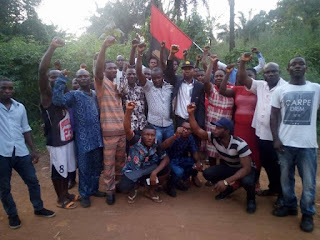 Many graduates in Biafraland are faced with massive unemployment. This problem is further compounded by the selfishness of the so-called governors and Hausa/Fulani stooges parading around as lawmakers from Biafra extraction. Biafrans are completely facing total suffocation in the enclave called Nigeria. However, IPOB Enugu state led by Mazi Ikechukwu Egbo Nwodo have concluded that "NO ELECTION IN BIAFRA LAND" order given by IPOB leadership will begin with Enugu state so as to set a palatable political precedence for Anambara state election come 18th of November. We are readily strong to voice out our grievances by massively boycotting any election that will hold in Biafraland. After all, in democracy, power belongs to the people.